HOT! FREE Luvs Diapers after Cash Back!!! Home / Freebies / Free Stuff Online / Rebates / HOT! 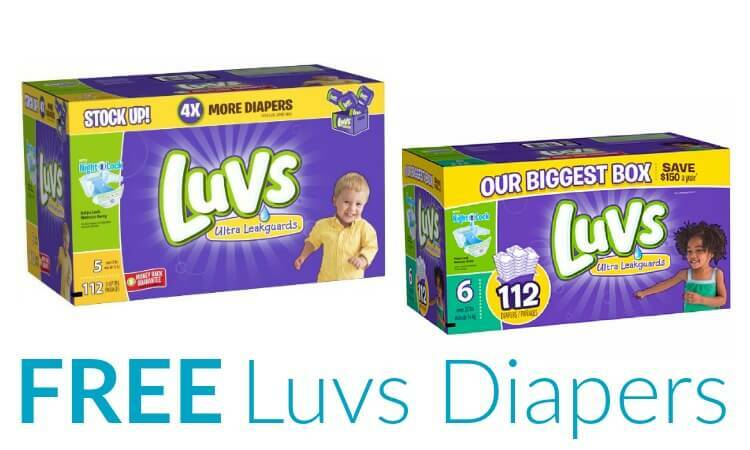 FREE Luvs Diapers after Cash Back!!! WooHoo!!! How would you like to grab FREE DIAPERS??? I’m telling you this deal is HOT and one you don’t want to miss the FREE Luvs Diapers after Cash Back! If you haven’t signed up for Top Cash Back yet then make sure you don’t’ miss this Super Hot Deal on Diapers! This is only available until midnight tonight!!! If you are already a member, email this post to a friend or family member and ask them to do this deal for you! Also, if you know someone with a little one what a blessing it would be to get a Big Box of diapers as a gift, such a simple way to make someone’s day! When you Join Top Cash Back you will pay just $15.97 for the Luvs Diapers and right now you’ll get $17.50 in Cash Back!!! That’s like getting this FREE + a Money Maker!!! 5. After you’ve made your purchase, you should see $17.50 in cashback pending in your account within 14 Days. Once payable you can withdraw the cashback to your bank account. NOTE: Since you are paying $15.97 and getting $17.50 back in Cash Back you are actually getting this Completely FREE Including Tax (If you choose in store pick up) which makes this an AWESOME offer! Just don’t forget to go back and request your payment once your order processes! What day is this good for? Today or yesterday? I don’t see a date on the post. FREE Custom Reusable Grocery Bag from Shutterfly! Download the Nightmare Before Christmas Soundtrack FREE!